In a recent Battlelog post made by trydling, a developer at Digital Illusions C.E., he outlines a new format of posts being added to the new forum section “The Control Room” which gives players a way to track the top issues plaguing their platform. Here is the list of issues that have been fixed, are being fixed and ones that are being investigated. For those of your who aren’t yet on the developer jargon, here’s what the statuses mean. INVESTIGATING means we are aware of a specific issue and working to reproduce it. Often, getting a solid reproduction is what actually allows us to eliminate a bug in the end. FIXING means that we have been able to reproduce an issue and are working on a fix. This might be a simple line of code or a larger task. Once we have the solution, we code, test and get it live. An issue with the label FIXING is on its way to being resolved. FIX LIVE means that we have fixed the issue in a patch that has already gone live. For example, we had a bug that accounted for a quarter of all crashes on PS4. That issue was fixed in the latest PS4 game update that went live Dec 5. Many other issues are already addressed. So what are your thoughts on the new issues tracker? Do you think DICE is making a comeback? Tell us in the comment section below. Battlefield Podcast : 158 - Patches, DLCs, Battlefield 4 China Rising and More! According to reports, the latest BF4 patch has resulted in lag spikes for PC gamers. DICE has been updating Battlefield 4 extensively lately, with several PC and console patches released in December. Each of the last two weeks has seen a Battlefield 4 patch released on the PC, fixing numerous performance and stability issues. However, according to reports from gamers and Battlefield 4 server owners, the latest patch might have brought some problems with it as well. The latest PC patch, released on December 20, has fixed some of the most common crashes on the PC, but it has apparently resulted in lag and lag spikes when playing. It’s unknown if this is the issue with the client patch or the latest server patch as well. DICE has released over a dozen Battlefield 4 server patches since launch, and we’ve experienced a similar situation back in November, where a new server patch caused problems for players. Reports from the official forums and on the Internet reveal a spike in reports about lag in the game, which seems to be occurring randomly, regardless of what server players are on. Some players have also reported of massive FPS drops on 64-player servers since the latest update. While Battlefield 4 is still facing technical problems, there’s no denying that the game is much better now than it was back at launch. DICE is working on a new round of patches which should be released shortly after January 1st. The game is still facing some problems with the netcode, despite numerous game updates. While DICE has done a lot of work to improve the netcode in Battlefield 4, it’s still far from perfect. When you factor in the lag issues brought with the latest patch, things aren’t looking as good at the moment, at least for some players. The Battlefield 4 netcode is much better off now that it was back when the game launched, but the recent patch seems to have stirred things up a bit, and in a bad way. As the videos below show, the netcode and lag issues still persist in the game. Granted, a lot of things are a factor here, such as a player’s Internet connection, ping, and the game server as well. 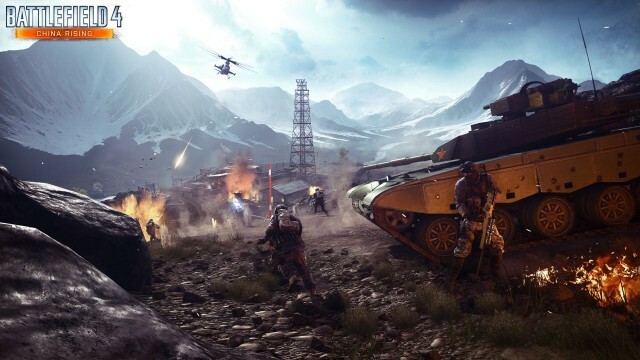 EA rushed Battlefield 4 to market, and is now facing a ton of consequences, including class-action lawsuits from investors, and they have put on hold all other games in development at DICE. There are even rumors that EA might offer a free DLC to players for all the Battlefield 4 problems. Brand new Battlefield 4 game updates are incoming for both PlayStation 3 and PlayStation 4 users. The updates, similar to the PC patch that launched yesterday, look to improve stability while fixing a number bugs. On the PlayStation 3, it also re-balance both the attack and stealth jets, tweaking their handling and damage output. Check out the full list of patch notes for both platforms below. Both PlayStation updates should be made available to download shortly after – if not as of – this writing. Stay tuned for news of Xbox One and Xbox 360 Battlefield 4 game updates, which we hope to hear about shortly. Battlefield 4 developers DICE are looking for your feedback on some important balancing tweaks the studio plans on pushing out to the game in the near future. The majority of tweaks in question are related to vehicle balance, including attack boats, anti-air, jets, and tanks. Of course, the number of items the studio is looking into are not limited to Kertz’s Twitter list nor the items features in the official blog post. Keep your eyes and ears peeled for news of upcoming fixes in the coming days/weeks! More small updates, patches and Tweaks... but still nothing on the Major Issues and Problems facing BF4. Hopefully those will come later? Upcoming vehicle tweaks affect the mobile AA, scout and attack helicopters, and main battle tanks. 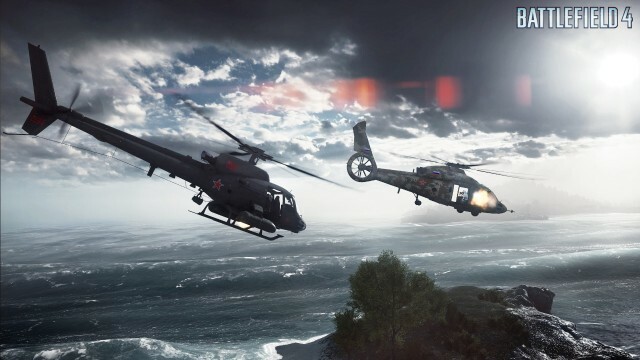 Yesterday, DICE revealed plans to release a Battlefield 4 patch next week, and now they’ve revealed the first details about the upcoming vehicle tweaks. The tweaks will affect the mobile AA, tanks, attack helicopters, and scout helicopters. The biggest change seems to affect the mobile anti aircraft vehicles (the Tunguska, LAV AD, and Type 95 AA). Many players felt that the mobile AA was overpowered, and they have been nerfed somewhat now. The mobile AA now has reduced velocity on the 25mm gun, and carries two less rockets, from 6 down to 4. It also reduced the impact of the missiles so that they can’t flip over helicopters, and the active radar search missile now has to be aimed better in order to find a target. The scout helicopter’s 25mm cannons have been reduced as well. These were too effective against infantry, and were mainly intended against vehicles. A lot of Battlefield 4 players have complained that the scout helicopters were way overpowered against infantry, especially when there is an engineer on board to constantly repair the helicopter from damage. The attack helicopters (AH-1Z Viper, Mi-28, WZ-10) have their main gunner’s cannon damage increased, plus the direct damage of the Zuni rockets has been increased as well. The tweaks also affect tanks and some rocket launchers. The MBT LAW gas been nerfed a bit when it comes to their “intelligence”, meaning that the player will have to aim the missile closer to the target. The M2 Slam anti-tank mine has also been nerfed. It now does maxiumum damage at 3 meter, instead of at 6 meters. Finally, the tweak affects the main battle tank’s STAFF shell, which has its damage reduced by 25% against all targets. However, the tweak does not fix the “quick switch” trick, where players switch between the main and secondary weapon, greatly speeding up the reload time. It’s unknown if the upcoming Battlefield 4 patch will include these updates, or whether they will be added later on.